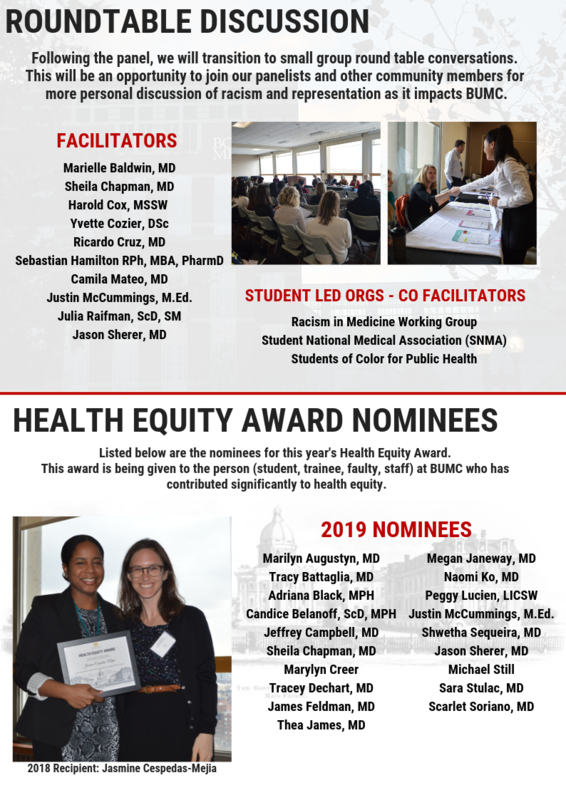 Education for students and providers on how to integrate health equity work into their daily practice and careers. 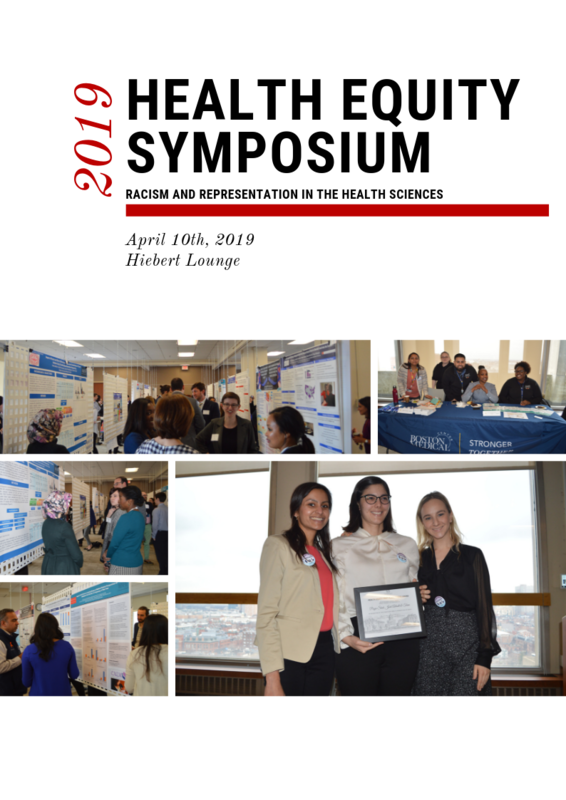 Information on funding, research support, and opportunities in health equity. 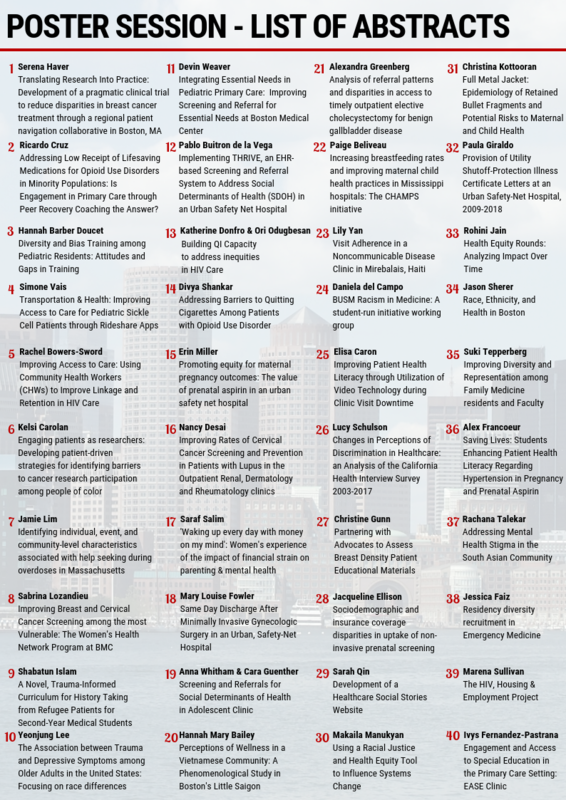 Poster session to highlight ongoing work at BUMC and in the community including research, quality improvement and service projects being done at Boston University Medical Campus. Tools to facilitate partnerships between community organizations and BUMC students, trainees and faculty. Advocacy training workshop for students, residents and faculty run by the School of Public Health Activist Lab.